Condemned to certain death as a deep cover agent for an international criminal leader, David Rivers discovers an unlikely ally with one shared goal: the death of the mastermind who governs the illicit underworld. But the final element needed to complete a brilliant assassination plot is trapped amid the firestorm of a civil war in Myanmar. To kill his greatest enemy and free his only surviving teammate, David will have to survive impossible odds—odds that he’s determined to beat, no matter the cost. As an increasingly perilous journey unfolds, David learns that appearances aren’t as they seem, and no loyalties are absolute. He soon finds himself forced to choose between two great evils—with his only friend’s life hanging in the balance. As with the first 3 books, I SLAMMED into the end of this one wanting more. Just when I think he’s run out of story - that he couldn’t possibly keep the excitement going and maintain any realism - Kasper knocks it out of the park…again! I grabbed this book and did not put it down until I finished it all in one sitting. This is the definition of a page turner. 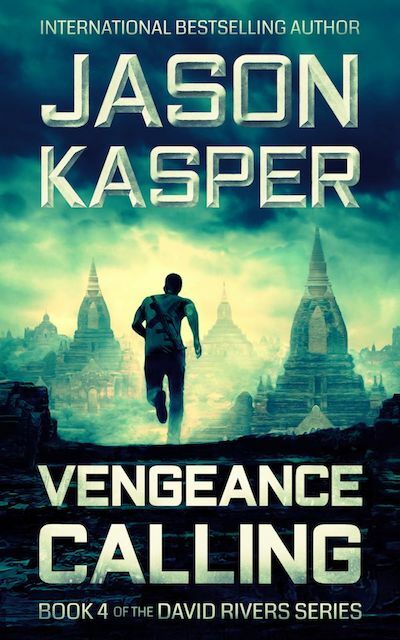 I was left gasping for breath more than once when the story was moving along at a breakneck speed... As always, there are Mr. Kasper's trademark high-octane, adrenaline-fueled, loop-de-loop, in-your-face action sequences to keep the reader glued to the pages. Charged with energy. Drops you off a cliff and just keeps accelerating. The end of this book will leave you breathless with anticipation for the next book. This is a book not to be missed! Treat yourself to the entire series - you won't regret it! 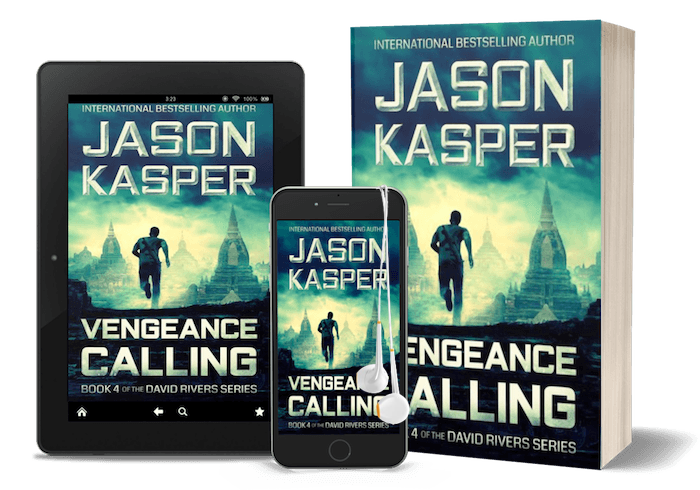 Vengeance Calling is riveting from the first page. You will not be able to put this book down. One of the fastest paced, most action packed books you’ll read.